McDonald’s has announced its intention to acquire Dynamic Yield, a decision logic technology firm based in New York and Israel. 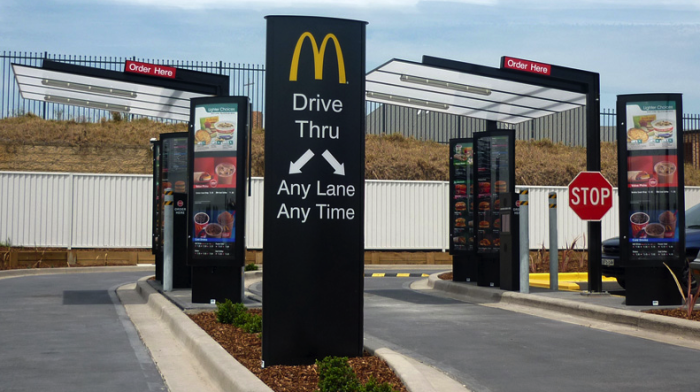 The fast food giant will use the company’s technology in its drive-thru menus, which will allow the screens to change depending on time, weather, restaurant traffic and available items. It will also be able to suggest items based on customer selections. “With this acquisition, we’re expanding both our ability to increase the role technology and data will play in our future and the speed with which we’ll be able to implement our vision of creating more personalized experiences for our customers,” said McDonald’s CEO Steve Easterbrook, who said that the technology was a key element to the company’s growth plan. McDonald’s has been expanding tech throughout its restaurants, with its controversial kiosk roll-out at its 14,000 restaurants in the USA. Drive-thrus account for almost two-thirds of the company’s business. DO BUSES NEED A CAFFEINE HIT? 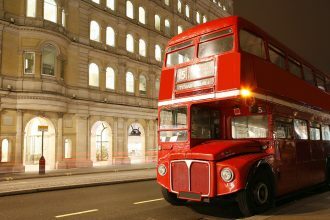 London’s iconic red double-decker buses will soon run on biofuel derived from coffee waste, if entrepreneur Arthur Kay has anything to do with it….